Now that the weather is warmer here it has me craving light and fresh meals. You know I love a salad and this one is my new favorite. Not only is it gorgeous to look at with so many colors but it is delicious too (and super healthy) ! I have been eating this for my lunch but if you wanted to serve this as a main meal it would be awesome served with grilled chicken or shrimp. 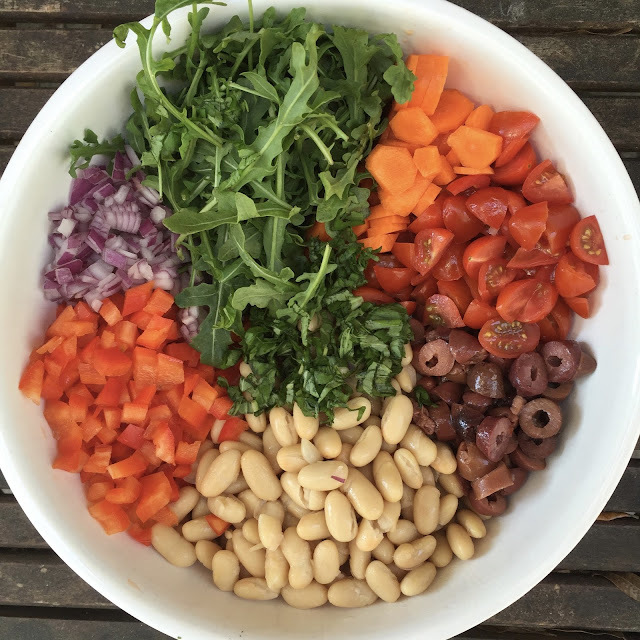 If you decide to make this ahead of time I would wait til the last minute to add in the arugula so it doesn’t get too wilted. This is best served at room temperature. Enjoy! 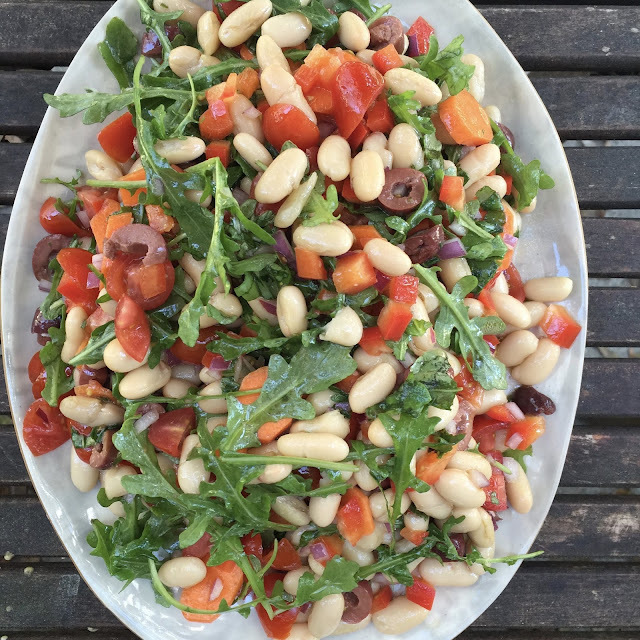 yum – I'm making this salad asap! I just made your roasted beet salad the other day and it was amazing too!